When the summer sun is beating down in Georgia, 4 Seasons Heating and Cooling is on the job! We are Middle Georgia’s best choice for affordable, first-class cooling services and we take pride in a job well done. 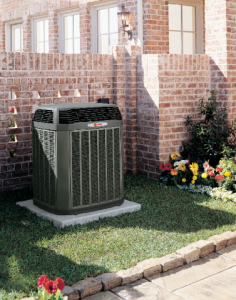 Whether the air conditioner needs to be repaired, maintained, or even replaced, 4 Seasons has an expert to handle all of your home cooling needs. Put your trust in a company that has the experience in servicing Middle Ga with reliable, honest, and budget-friendly cooling services. Tired of fighting with your finicky air conditioner? Take a moment to consider how you could benefit from a new air conditioning system from 4 Seasons Heating and Air Conditioning. High Cooling costs are a thing of the past with systems rated up to 25 SEER. Improve your comfort with the many ground-breaking technologies included in these Lennox systems. Our HVAC Specialist will make installing your new system as easy and as affordable as possible. Dave Lennox Signature Series XP25 Variable–capacity, inverter controlled operation works much like the cruise control system of high performance automobiles, automatically making adjustments as necessary. In the XP25, cooling capacity automatically adjusts up or down, based upon cooling demand, to use only the precise amount of energy needed to maintain temperature within 0.5 degrees of your thermostat set point.